Acetylene Empty Sign - GAS2The Acetylene Empty Sign is used to indicate that the cylinders contain acetylene gas and are currently empty and have to be refilled. All nece..
GAS Danger Sign -GAS13The GAS Danger Sign is used to indicate that any form of gas are extremely dangerous and that necessary precautions should be taken at all time.Subs.. Oxygen Empty Sign - GAS6The Oxygen Empty Sign is used to indicate that the cylinders contain oxygen gas and are currently empty and have to be refilled. All necessary pre.. Flammable Liquids Sign - GAS18The Flammable Liquids Sign is used to indicate that flammable liquids are being transported or stored here and that all necessary safety pre.. Battery Charging Sign - GAS21The Battery Charging Sign is used to indicate that every one moving close to this area should be careful and follow all safety rules as this .. 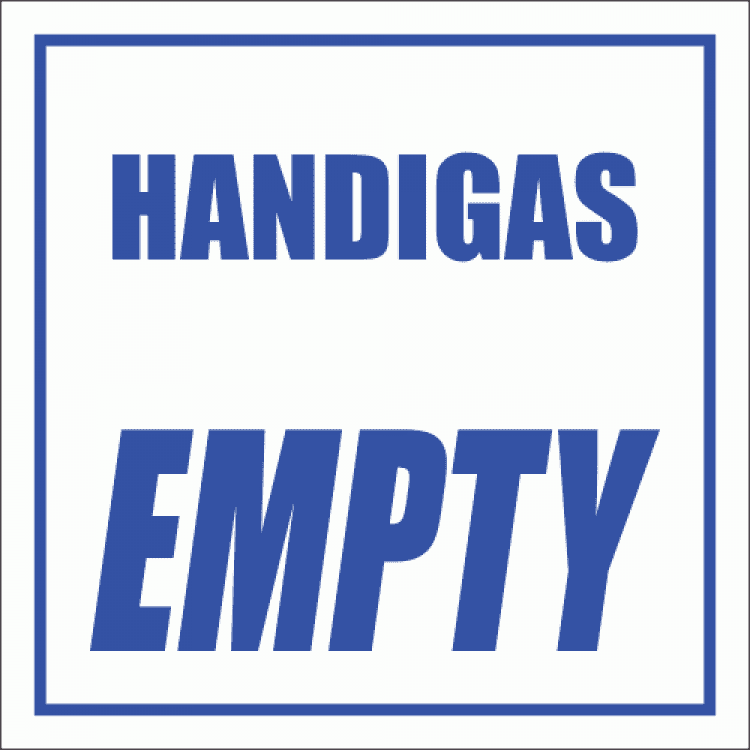 The Handigas Empty Sign is used to indicate that the cylinders contain handigas and are currently empty and have to be refilled. All necessary precaution should be taken.